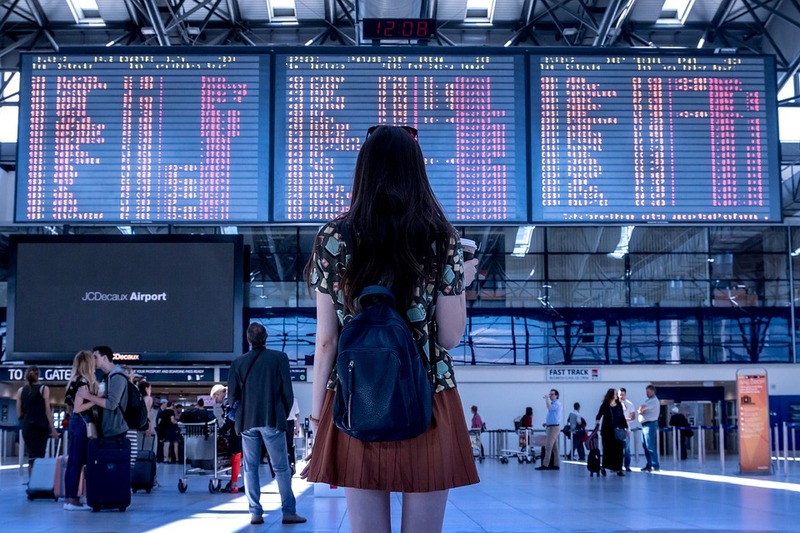 Travelling alone can be a really scary prospect, especially for those of us who have been continually exposed to familiar places and people for the majority of our lives. Travelling alone can also be a truly inspiring and personal experience. Having the courage and confidence to travel solo really does pay off, and it comes with loads of incredible benefits too! You get the time to really explore different cultures, you can do exactly what you want to do and when, and you can meet loads of new friends along the way! Thak a look at this guide to solo travel and get ready for your next adventure today! Speak up! One of the best things about traveling on your own is that you get the opportunity to meet, speak to, and build friendships with a range of different people from all walks of life. This can be a really exciting and insightful experience, so don’t miss out on the opportunity. Hearing about other solo traveller’s experiences, their lives and their histories is a great way to both gain a divers interactional knowledge and to contribute to your own personal growth too. So say hello to everyone, find out about their story, their experiences and their lives. You never know, you might just make a life long friend along the way! Building on the idea of meeting new people, hostels are always a great accommodation option for the solo traveller! Hostels are often shared accomodation options at low prices. They comprise many beds in single rooms that will likely be filled with other solo travelers! This is a great way to meet new people and catch up with their experiences and tips. Plus this is the cheapest way to travel, so don’t spend over the barrel for a lonely hotel room! One of the biggest mistakes that you can make is that of overspending on your solo travels! It can be really easy to spend too much money when we are traveling the world. Once we see the beautiful artisan shops, the diverse range of food and the hotel upgrades, we instantly get carried away. Try to keep on top of your spending habits, and make sure that you have some money set aside in case of an emergency. There are so many ways to save money available that there really is no excuse not to budget accordingly. You can pick up cheap Gatwick Airport parking deals easily online, as well as a whole range of other airport deals. So keep your budget in mind! Make sure that you are continually stepping outside of your comfort zone! It can be a little intimidating to leave your hostel when you are alone, but it is definitely worth it! Exploring the sights is a great way to occupy and entertain yourself, so make sure you really relish in the opportunity! The mighty selfie stick is often overlooked by the solo traveler, but they really are the most useful devices! It can be really difficult to get the best photos of yourself and the sights when you haven’t got someone travelling with you. Taking a selfie stick with you will eliminate the possibility of bad quality photos! If you would like to meet some like minded nomadic individuals on your travels then it is definitely worth joining a few online solo traveling communities! There are so many blog and social media groups available that it is really easy to connect with other solo travellers. This will enable you to pick up tips, advice and information from people who have been traveling on their own for a long time! Among all of the packing, travelling, sightseeing and meeting new people, it can be difficult to find the time that we need to really reflect and absorb the culture that we find ourselves in. Don’t miss out on this vital time of self reflection, education and experience. A lot of solo travelers find that keeping a diary or blog is a great way to ensure that they accurately encode the experiences that they are having, so that they can recall them more acutely in the future. A lot of people find or learn something about themselves and their lives through the process of travel, and taking the time to reflect on and record this experience is a wonderful way to ensure that you will carry it forward into your life. Traveling on your own can be a really fulfilling, exciting and educational experience, so it is definitely worth making the most of it! Make sure that you mingle with other travellers, opt for hostels over hotels and budget well for emergencies. You should also go and see the sights, remember a selfie stick, join some online communities and take the time to really reflect on your journey. With these tips in mind you should be well on your way to having the most enlightening and enjoyable solo traveling experience of your life! Previous Article← Test Clear Critique by Clear Drug Tests – What are the benefits of a detox program?